I am pleased to announce that my essay “Hiding” first published in ASCENT is now live in The Woven Tale Press. Also so pleased to be in an issue with the wonderful Dewitt Henry, who years and years ago, published one of my first stories when he was editor of Ploughshares. A joyous season to all. Delighted to have “Brown Leather Satchel” in the current issue of Fourth Genre. http://msupress.org/journals/fg/ The essay is adapted from a chapter in my manuscript, Unearthing Stories of Jewish Women in Vichy France. Unearthing Stories of Jewish Women in Vichy France tells the intertwined true stories of four women, three French one American. Inga Borhmann, now Yvonne, is one of the French women. I am the American. We didn’t see much of each other after that, an occasional shared dinner in the dining room, a few meetings on the paths, but that welcome cemented, if not a friendship, then a warmth that continued long after each of us had returned to our separate lives. And now, David has published Miss Portland, a wonderful novel that tells the story of Zoe Tussler, a young woman with bipolar disorder who goes off her medication and moves from a stable job in Philadelphia to be with Gordy, her mindfulness teacher in Portland, Maine. Zoe has tried quest after quest, cult after cult, and each has failed her. 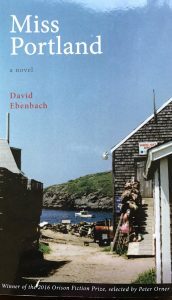 As she travels to Maine, she understands Gordy cannot provide answers for how she will live her life. Only she can do that. Maine has a special pull for Zoe. She remembers an A frame house and a beach where she vacationed one summer with her family, a place of peace and of calm, an idyllic moment when her life felt whole. 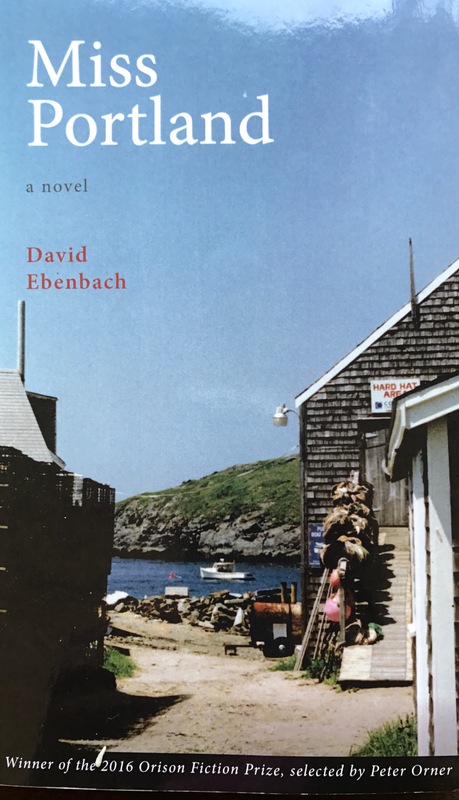 David Ebenbach has created an intimate portrait of a sensitive young woman who wants to root and find connection. In her vulnerably and with her struggles with bipolar, Zoe is both unique and just like each of us as we search for a path through the tangle of brush and weeds that makes up our lives. Miss Portland is a beautifully wrought story that resonates long after its final words. We get to her final sentence. “Blah Blah College would give me the opportunity to blah, blah.” A repeat of the prompt. Exactly, what she has been taught. Why do schools and teachers make this so hard? Why do they wring the joy out of both writing and the kid? Back she goes to her piece of paper. Back to her computer. She comes up with a dynamite sentence. A dynamite ending. “Grammy, you should teach again,” Nina says. I am teaching, again. With her. And I could find no greater joy. 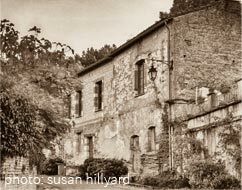 In Auvillar, France, I mull Prague, my stop before arriving here, six nights in a city, I’d never seen, a place of myth, mystery and history. 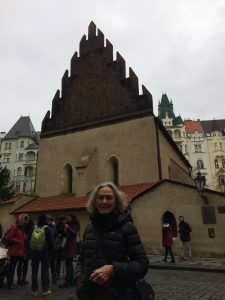 I went to Prague because so many threads of the Jewish history I’ve been unearthing in France these last six years led me there. Prague was one of the oldest and most prominent centers of Jewish culture in Central Europe. Prague was home to prominent rabbis, Jewish scholars, historians, mathematicians, philosophers, all long gone. Eighty thousand Czech Jews died at the hands of the Nazis. After the Nazis, the Soviet Union took over Czechoslovakia, as it was known, then. The Communist regime took over the Jewish synagogues. There were no services. Practicing Judaism was not allowed. So, what does it mean to have such a rich Jewish history without Jews? And what exactly is the meaning of Prague’s flourishing Jewish tourism? Synagogues are museums, storehouses of ritual objects, Torah crowns from Bohemian and Moravian synagogues, objects surviving, people murdered. And with so many tour guides, mostly, not Jewish, leading tourists through the Jewish Quarter, how does our history get distorted? I buy a mezuzah in the gift shop of the Old-New Synagogue and the man behind the counter does not understand that I also want to buy the scroll that goes inside, and when my guide explains, he pulls a scroll from inside another mezuzah and carelessly places it in the box. Those scrolls are sacred texts, a reminder of God’s presence and God’s blessings. In the States, they are stored separately and handled with care. They are also expensive. To this man, this miniature scroll means nothing. And my mezuzah does not have a back. No way to keep the prayers safe. Clearly, this mezuzah is seen as a trinket, a gimmick. In Prague, I feel a gap in Jewish history, a crater created by the Holocaust and the Cold War. A display ritual objects does not translate to an understanding of Judaism or of Jews. Nor does it obliterate prejudice, stereotyping or anti-Semitism. Jews and Jewish culture are a living thing, ever changing, every evolving. When I return home, I will construct a backing for my mezuzah which is a replica of the Old-New Synagogue, and I will fasten it to my doorpost, and this piece of kitsch will mark a Jewish house where my husband, my son, my granddaughter and I live, our roots diving down into history. I wrote this piece a few weeks ago, hoping to place it on a blog with a larger audience than my own. That didn’t happen, and in the meantime, Kelly Cherry has won lifetime Achievement award from the University of North Carolina at Greensboro. I’m not the only one who loves this writer’s work. One recent morning, I picked up Kelly Cherry’s Girl in a Library, a book of essays that speaks to the intersection of life and literature. I first met Kelly when we were both in residence at the Virginia Center for the Creative Arts, and we gravitated to one another, two women of a certain age, cloaking rebelliousness under convention, she the genteel southerner, I the outspoken northerner. I can’t remember what I was writing at the time—so many unpublished manuscripts on my shelf—but whatever it was I was near completion and Kelly very generously gave me the names of editors and publishers, and yes, of course, use her name. Over the years, she continues to offer support. She’s that kind of writer. In “Why I Write,” Cherry speaks of her younger self, her diffidence, her reluctance to have opinions. What she is talking about is declaring her authority, something a woman at that time—this time?—was not allowed to do. Writing is a rebellious act, and those of us who choose to write are rebels, although at the time we begin, often, we don’t know that—especially, if we are women of a certain age. Cherry says she “loved the process of creating a problem, of developing a line of thought, whether theoretically or metaphorically.” Yet, she felt as if she was in hiding, unable to declare herself. I understand. This is a woman’s dilemma—even today, we see what happens to women with strong opinions. Not all of us are as strong as Hillary Clinton. Kelly Cherry has published more than twenty books of fiction, memoir, essay and poetry. Her work has appeared in Best American Short Stories, The O. Henry Awards, The Pushcart Prize. She is one of the most insightful, smart writers I have read. She teases complex questions into clear, precise prose. That, I suppose, is the poet in her. She is the kind of writer, I can read over and over. So why isn’t she a literary celebrity? In “Why I Write, Now,” Cherry says she made every mistake in the book, leaving New York after her first book came out, choosing the wrong literary agency, following a novel with a book of poetry. “So I missed the brass ring,” she writes. This comes home to her one night at the opera, when a much younger writer tells Cherry that as artists, they must hope for fame in their lifetimes. Cherry is devastated. Then, she ruminates. Her friend has created an equation with two terms: the artist and the audience. For Kelly Cherry there is a third term: the art. Not art for art’s sake, but art that discovers the shape and substance of the soul. That shape, that substance: that is the work of art. Ah, “The Country Doctor,” a number of linked short stories, but it’s hard to tell what joins them. Mostly, they’re brutal, violent and strange—Kafkaesque. Two horses look in opened windows; a horse and a man gnaw from opposite ends of the same bone, a boy shows his open wound spilling worms. My son and I speak of “The Judgment,” a story in which a father sentences his son to death by drowning which at that moment seems implausible. Then, the son finds himself at a river. He jumps from a bridge. Kafka is beyond explanation. I can’t exactly put my finger on what he says; yet, I feel a strange kinship with his bizarre entanglements, his obscurity, his missed connections. “And Gregor,” my son says. Kafka is life; yet, he’s missing one of life’s great gifts: joy. Not a good thing for either a man or his work. Yet, like my son, I’m drawn to his dark vision. And to his brilliance. Yesterday, my review of Claudia Rankine’s Citizen, An American Lyric, was up on the Brevity Blog https://brevity.wordpress.com/2016/01/18/citizen-an-american-lyric/ and then up on the magazine itself http://brevitymag.com/book-reviews/a-review-of-claudia-rankines-citizen-an-american-lyric/. Later, I realized that the piece coincided with MLK Day. Probably, an example of right place at the right time– stars aligning, luck, fate, faith– whatever you want to call it. Thank you Dinty Moore and Brevity.